When Studio 360 asked the New York-based design firm Worldstudio to give the gay pride flag a 21st century makeover, we had to leave a lot of great conversations out of the final story. Here’s a little bit more from the lively brainstorming session Worldstudio principle Mark Randall held with his team of designers, including Andrea Pellegrino, Nina Mettler, and Tom Koken. 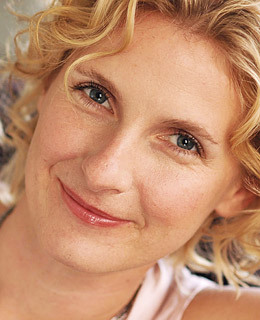 Check out the full flag redesign story and visit our website at studio360.org to listen to all archived segments and shows. Our gay pride flag redesign challenge drew lots of great listener entries – and no small amount of criticism (see here and here). Yesterday, Papermag ran an interview with Kurt about the kerfuffle. Why mess with a beloved symbol? Kurt: “I think it’s an interesting way to make people look more closely at the things they take for granted, which is something we do on the show anyway.” Read the whole interview here. Isaac Mizrahi reveals the winning listener design during this week’s broadcast. Also, Mark Randall of Worldstudio and Kurt talked with WNYC’s Brian Lehrer about the redesign and its critics. Don’t forget to vote for your favorite design! June is gay pride month, and rainbow flags will be flying high at pride celebrations around the country. The flag was designed by Gilbert Baker in 1978 and is recognized around the world. But what would a pride flag look like if it were designed in 2009? The design firm Worldstudio is taking on the challenge to re-imagine a new flag for the 21st century. But we also want your ideas! Add your comments and your designs to our Flickr pool. On our June 26th show, we’ll reveal Worldstudio’s design, along with our favorite listener submissions. Say you’re shopping in a department store with your toddler and you need to go to the bathroom… where do you stick the kid? 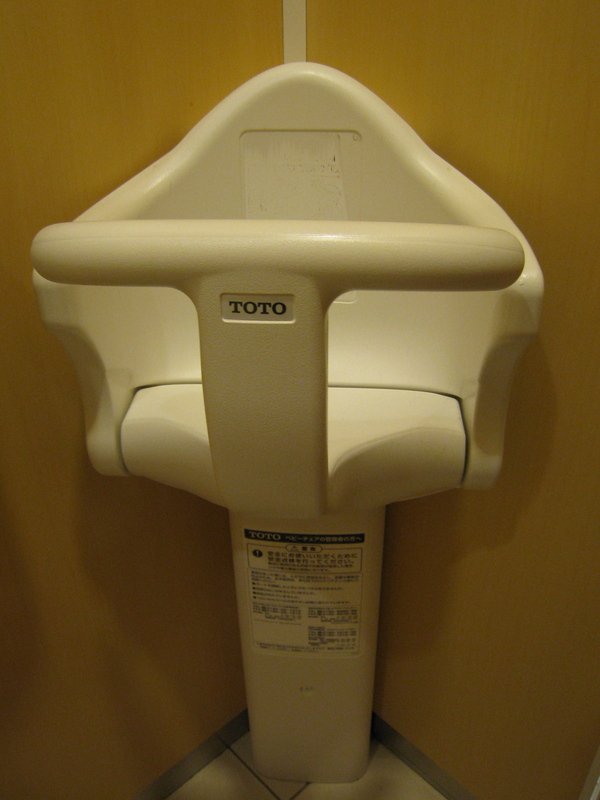 TOTO, maker of the world’s most amazing (and complex) toilets offers another great product, attached to the corner of the stall. 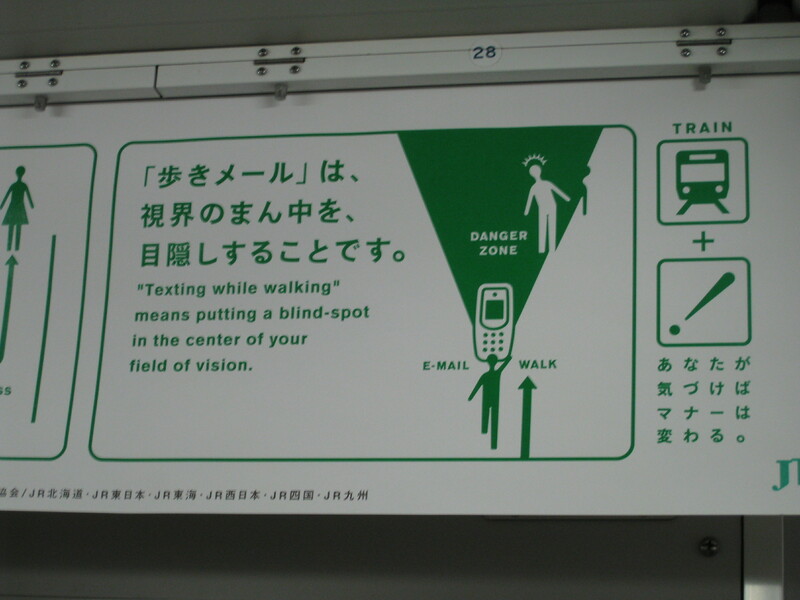 "Texting while walking means putting a blind-spot in the center of your field of vision." 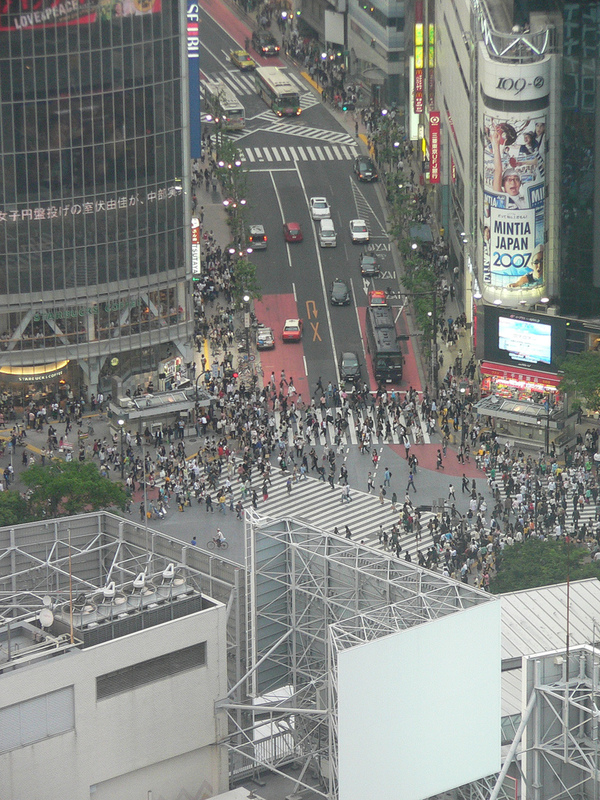 We’ve enjoyed staying 20 stories above Shibuya, one of the busiest pedestrian intersections in Tokyo. So busy, in fact, that they’ve done away with crosswalks: at the signal, hundreds of people cross every which way, then clear out completely to make way for the cars. The wash of people — like four dark waves, crashing into each other and then receding back onto the sidewalk — takes my breath away every time. Especially since I know we’d never be capable of sharing the street so efficiently and gracefully in Times Square.